Start How Much Coffee Per Day Should We Drink? Millions of regular coffee drinkers are faced with the daily dilemma of deciding the acceptable number of cups we can allow ourselves to drink. It’s such a hot topic that even mathematical algorithms have been devised to help answer the question. And the dilemma is derived from and fuelled by the barrage of studies being published on the effects of caffeine consumption, which speak of benefits —improved sustained attention, prevention of heart disease and some tumors— and possible adverse effects —more stress, insomnia and risk of miscarriage. In any case, the researchers advise a moderate and appropriate consumption. And the little consensus that does exist limits the recommended daily dose of caffeine to 300-400 mg. How do we convert this into a number of cups? Here we present the keys to figuring out the answer. The amount of caffeine in each cup of coffee depends on multiple and varied factors. Leaving aside the most obvious, the size of the cup and the amount of black coffee it is filled with, the two main ones are the variety of bean chosen and the method of preparation used. And of course, the amount of coffee we place in the recipient or filter in each case also affects the final amount of caffeine. 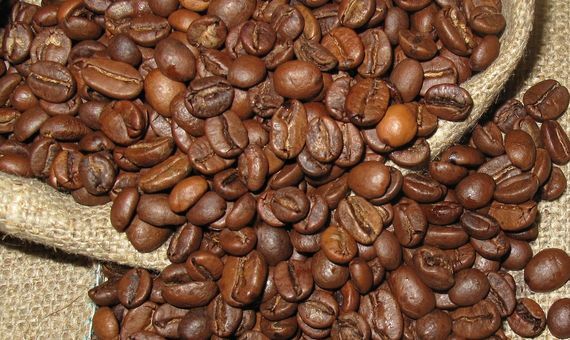 There are several varieties of coffee, but the two most widespread and commercialised are arabica and robusta. The former —the one grown in Central and South America— is the one that contains the least caffeine, with an average of 1.2% by weight. In fact, the difference is substantial, given that the robusta variety has almost twice the amount: 2.2%. These are average contents, since within the same variety the concentration of caffeine varies slightly depending on the area where it has been cultivated, due to one of the main functions of this alkaloid. In his book The Coffee Lover’s Bible, internal medicine doctor Bob Arnot explains: “Caffeine is an insect repellent, so at very low altitudes there’s more caffeine in coffee beans because there are more insects. At very high altitudes, there are far fewer insects, so the plant needs to stockpile less caffeine.” Therefore, if within the same variety we choose coffees cultivated in non-tropical zones or in highlands, the amount of caffeine in the bean will be less. The concentration of caffeine also depends to a great extent on the preparation methods, which use different mechanisms to extract the compounds from the coffee that provide flavour and properties to the beverages prepared. According to this criterion, they can be classified into three main groups: immersion or infusion, gravity and pressure difference. 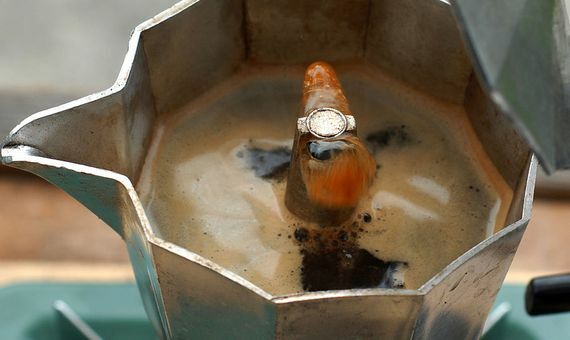 In the immersion or infusion methods —Turkish coffee, boiled coffee, French press and cold brew– the water is heated to the desired temperature and then the ground coffee is infused long enough for its compounds to pass into the water. The higher the water temperature, the more energy its molecules will have, and the more efficient the extraction of caffeine will be. In filter coffee and percolators, the coffee is produced by the combined effect of high water temperature and gravity, by slowly dripping hot water over the ground coffee contained in the filter and allowing it to fall by its own weight through the filter. Finally, in both the espresso machine and the Italian coffee maker (also known as a moka pot), as well as in the vacuum coffee maker, the extraction is achieved by heating the water in a closed lower chamber and thus generating a pressure difference with the open upper chamber, which causes the water to rise, extracting the compounds from the coffee granules in a very efficient and almost instantaneous way. As a result, each method produces coffee with a markedly different concentration of caffeine, as chemists at the University of Newcastle (Australia) have found experimentally after analysing the five most common methods, using Arabica coffee from Colombia. 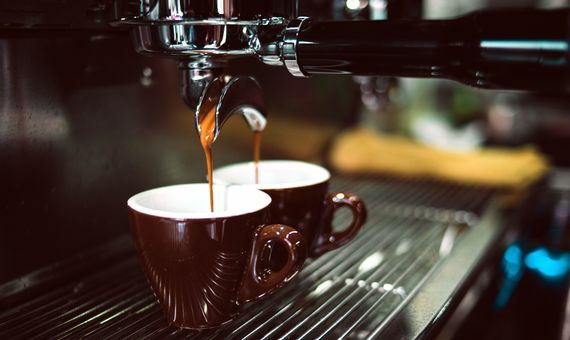 The classification is headed by espresso machines, followed by Italian coffee machines and cold brew methods, which have become trendy in recent years. This information now gives us an idea of how much coffee we can drink without exceeding the recommended 400 mg of caffeine daily. As we are animals of habit and we usually prepare our coffee in the same way and drink it from the same cups, the easiest thing is to estimate the amount of caffeine contained in our usual cup and then keep track of how many we drink a day. For example, an espresso aficionado might drink three small cups a day of a coffee variety like the one used by the Australian researchers. According to the table above, if we use an Italian moka pot, we will be able to drink twice as many cups than if we use an espresso machine. There is another conclusion from the same study: if we are more likely to drink large mugs of coffee rather than smaller cups, we should use a French press or filter coffee maker (or other “low caffeine” methods: Turkish coffee, boiled, soluble or percolator, according to analogous studies). With regard to home-brewed coffee we can’t say much more, unless we get a laboratory with a spectrophotometer to determine how much caffeine our usual cup has. Fortunately for those who frequent coffee chains and franchises, more and more of them perform these analyses and report on the amount of caffeine in all their products and formats, which makes it much easier to calculate the number of coffees per day so as not to exceed the maximum recommended amount. 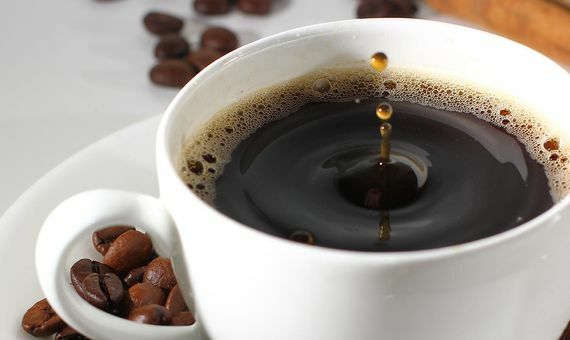 In the absence of a scientific consensus on the positive or negative effects of caffeine consumption, these tips will allow coffee lovers to stay within the recommended limits. Although without forgetting that each cup is a world.